Take in some of the cosplay at MineCon 2012 in the costume contest. In this panel from MineCon 2012 we get to know the team that brought Minecraft to XBLA. 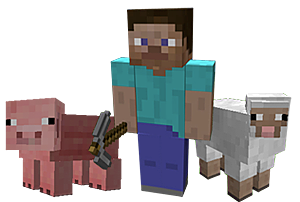 Get some pro tips for the best Minecraft modders out there in this MineCon 2012 panel. Joins us by the virtual fireside for a chat with Minecraft creator and Mojang founder Markus 'Notch' Persson. Meet the minds behind Mindcrack and learn about running your own Minecraft server and pranking your friends like a boss. Welcome to MineCon 2012! Watch the Opening Ceremony for a taste of what's to come over the weekend.